Today is budget friendly find #3. This adorable romper is from Old Navy. And it's currently on sale!! They also have some other fabulous rompers. I love the tropical print of this one, and I bet this one is so comfy. 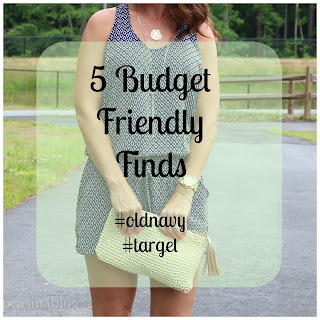 They are all amazing rompers for a budget friendly price! I love how easy and carefree rompers are. This is only my second romper purchase, my first was back in this post. I think I am now hooked. So many rompers can be dressed up or down depending on where you're wearing it to. For today's look, I paired it with my favorite simple black flip-flops and my new woven clutch. This clutch is so pretty up close, it has metallic fibers running through it, giving it some sparkle. And it has a tassel!! Mother Nature has decided we need a lot of rain lately. Luckily I was able to squeeze these pictures in between rain storms. There was no sun out, but oh well! Lets hope the rain ends soon. 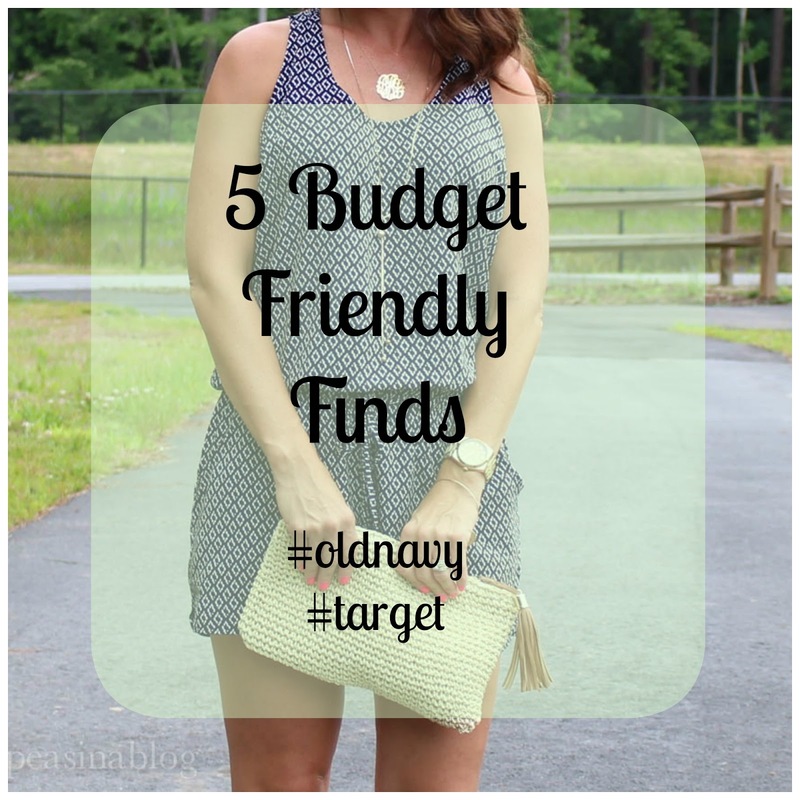 Come back tomorrow for budget friendly find #4! 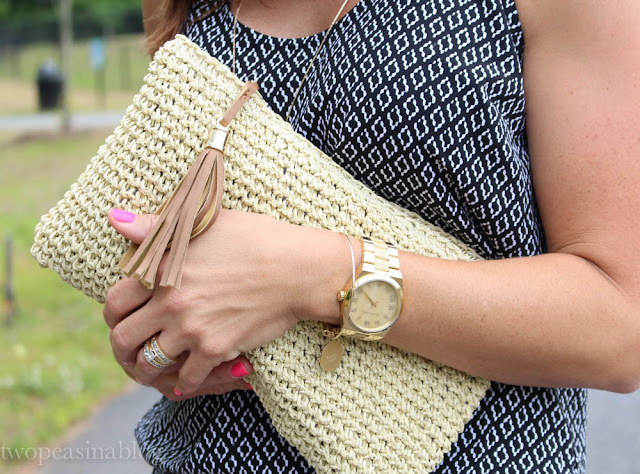 I've been needing a new straw clutch, and you just found me the perfect one!! SO cute! I love that romper! I just bought my first romper a few weeks ago, and I'm in love. Definitely about to go buy this one! I found this romper last week on the site and LOVED it! I wanted to spend my super cash on it, but my size was sold out when I went to place an order. :( It looks so cute on you! Cute!! I'm a little scared of rompers for myself, but I love how this one looks laid back but still polished thanks to the chic pattern.